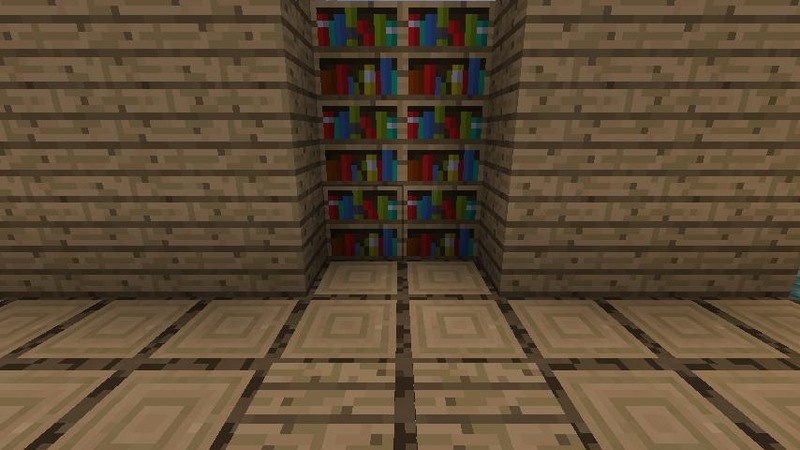 A Minecraft house can have little else cooler than a hidden door. Indeed nothing quite screams accomplished potion master like a hidden lab behind a retractable bookcase. With the advent of pistons many hidden things are possible, like the hidden staircase we did a few weeks ago. 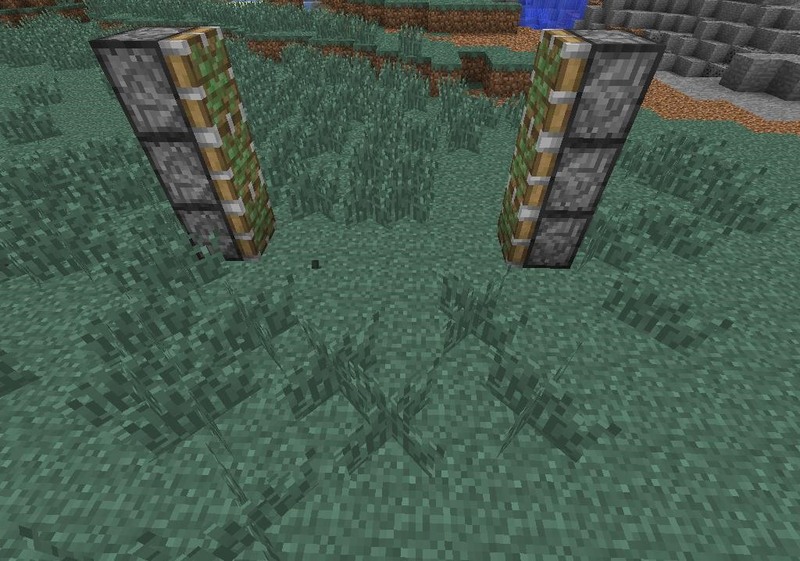 Some piston doors are overly complex and and built with miles of redstone running amok, but this isn't necessary. 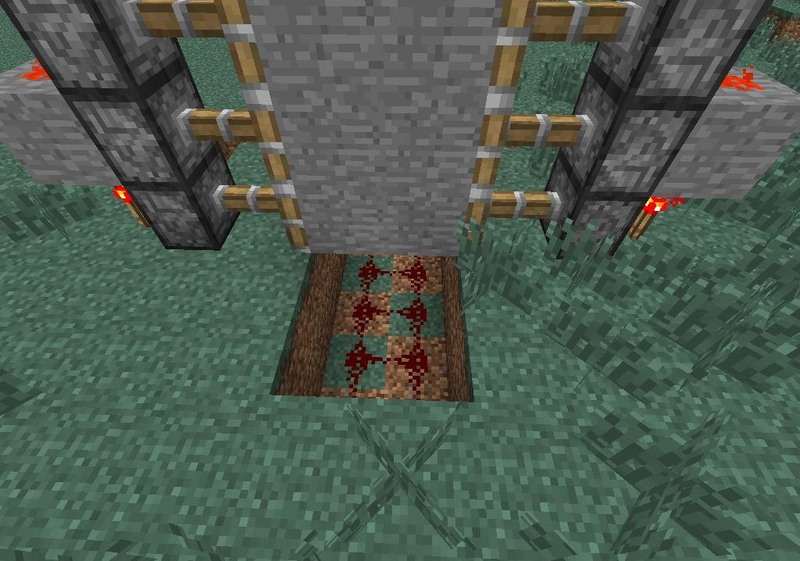 With a bit of redstone ingenuity a hidden redstone door can be a thing of convenience and ease! (1) To begin, decide where you want your hidden door. The final aparatus will only take up about a 6 by 12 space. Place three sticky pistons spaced four blocks apart. (2) Place your desired hidden door material in a two by four pillar between the pistons with a space between the hidden door and pistons. 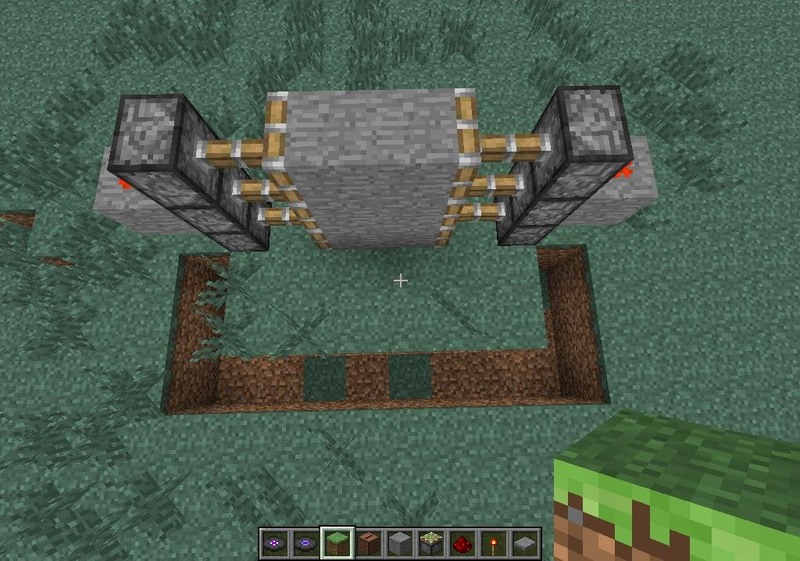 (1) To fashion the piston activators, place a redstone torch next to the bottom piston on either side. Then place a block above it, activating the second highest piston as seen above. , (2) To finish it up, place a piece of redstone dust on top the block you just placed, activating the final piston. Be sure to do this for both sides. 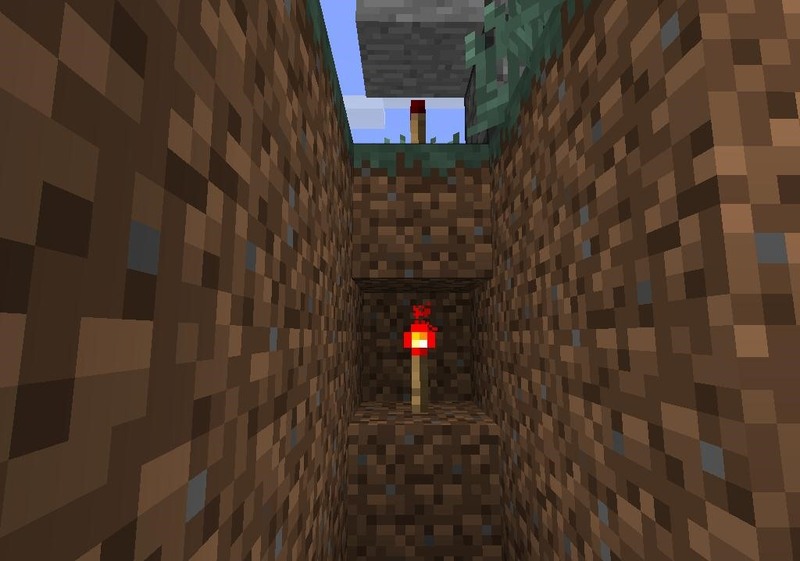 (1) Dig a two deep trench connecting the redstone torches on each side of your piston set up. 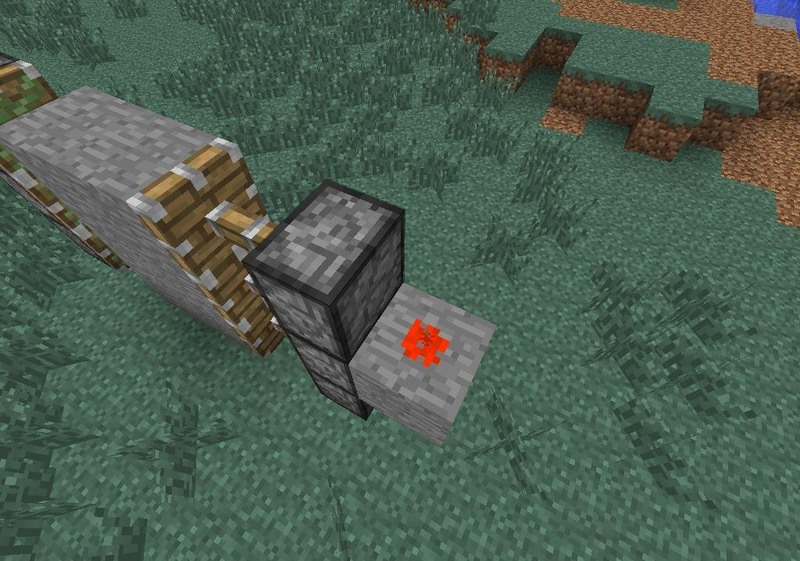 , (2) Remove a block underneath the block that your redstone torches sit on. Do this on either side. , (3) Place a redstone torch. You will see that the top redstone torch deactivates. 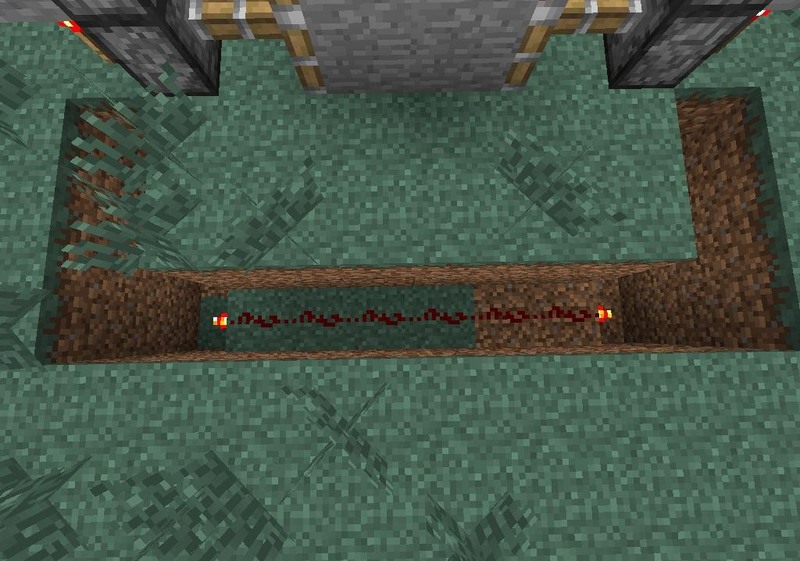 , (4) Dig three blocks out from the torch you just placed and run redstone wire to a third torch. 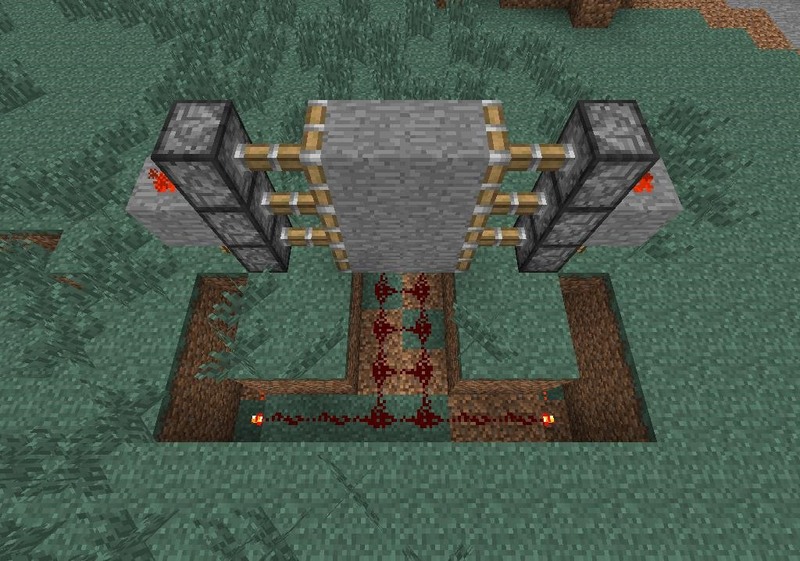 (5) Connect these third torches with redstone wire as seen above. 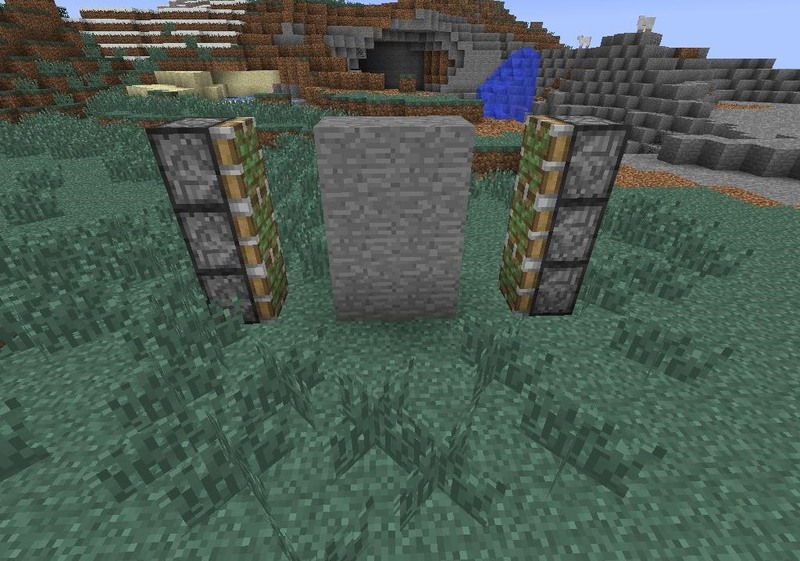 This will ensure the piston arrays communicate with each other when activated. (1) Dig a trench two wide from the front of the hidden door to the back connecting to the first trench. 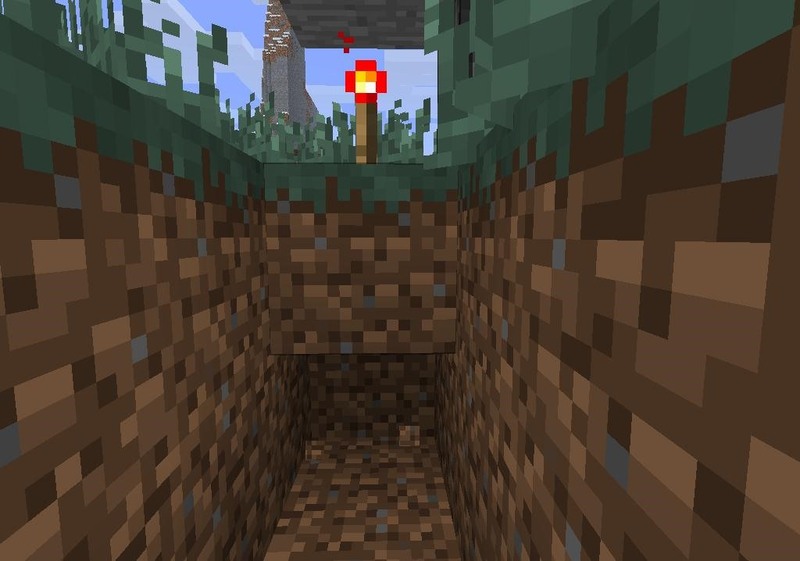 Fill the trench with redstone connecting it to the redstone in the front as seen above. (2) Run the two wide trench two blocks out from behind the door. 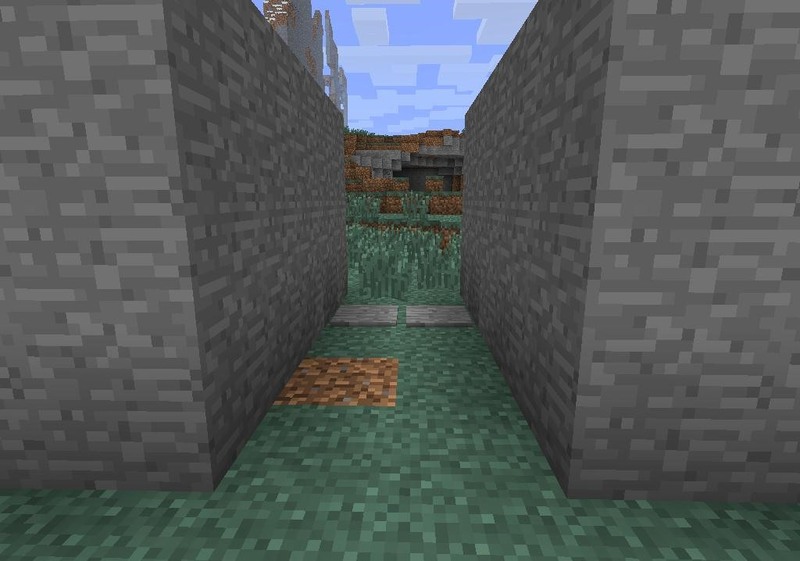 (1) Cover up all the redstone in the trenches below your door level with the floor. 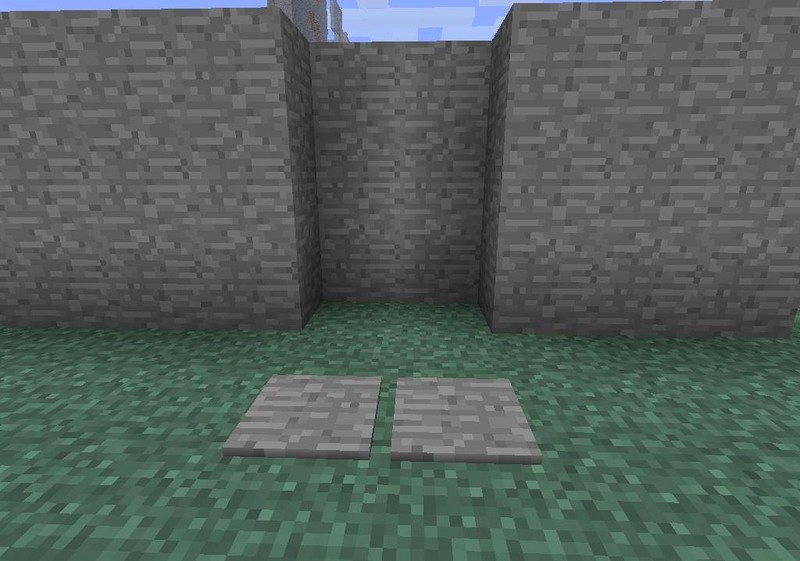 Now place two pressure plates one block in front of your hidden door. Do this on either side. (2) Here is the hidden door completey covered. (3) And here is the hidden door activated. , (4) Your hidden door is now complete, ready for you to customize it however you feel. Here's a hidden door inside a home wherein the door is made from bookcases and the presuure plates are wooden. 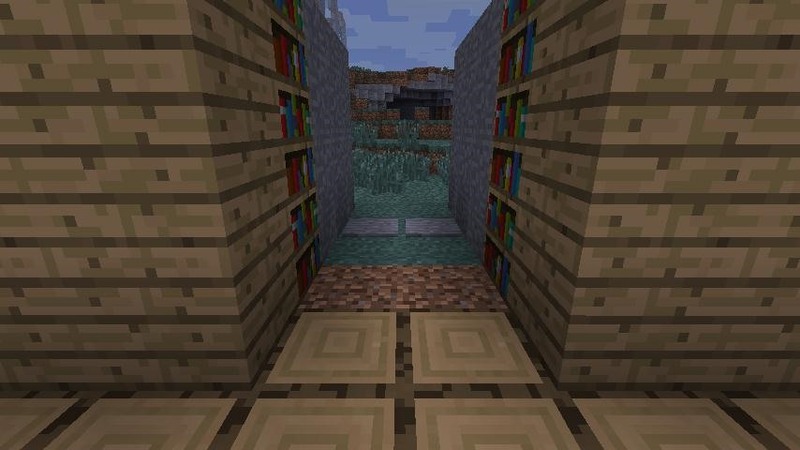 There's no need to place miles of redstone to create an excellent hidden door. 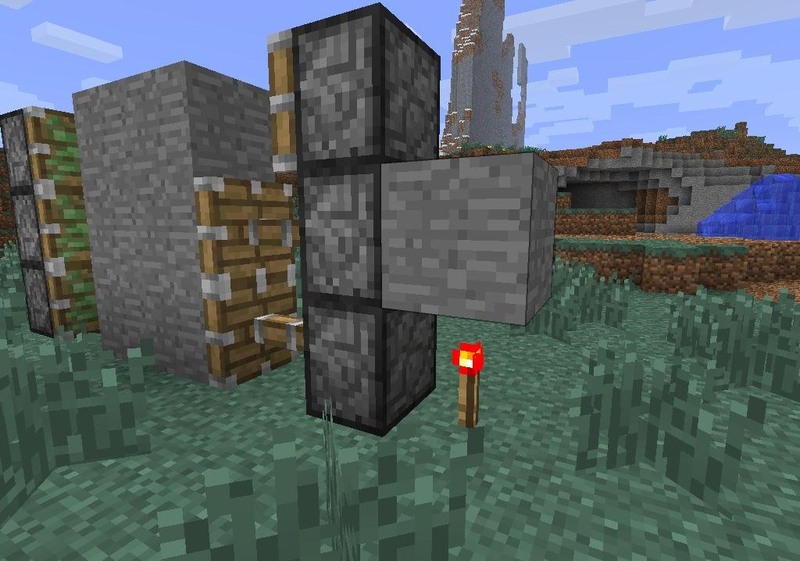 As you can see, this type of piston door can be easily integrated into your home, hidden temple, potions lair, modern building, or whatever you can dream up. Is there any way one of you redstone gods could post an "exhaustive guide to redstone" or something on the matter? I'm way behind on this. If not, NP. K, ill try today niko. but we had some voxel greifing. 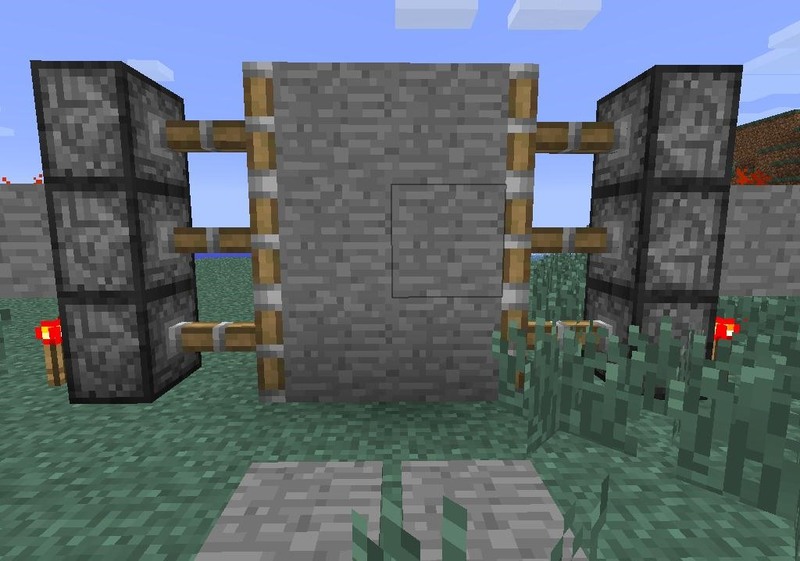 There is a much more compact way of doing this with a mod, the wireless redstone mod, and it is not in a dent in the wall, so it is much less noticable. I'll post it somewhere. Did you ever manage to get the doors open? Do they have to be sticky pistons? orrr? Quite a simple door to make really. But I really like the constructions where there is no way you can predict there's a door hidden. Like this. This one doesn't work at all. I tried it on various Platforms, (Windows 10, pc, PE, etc.). 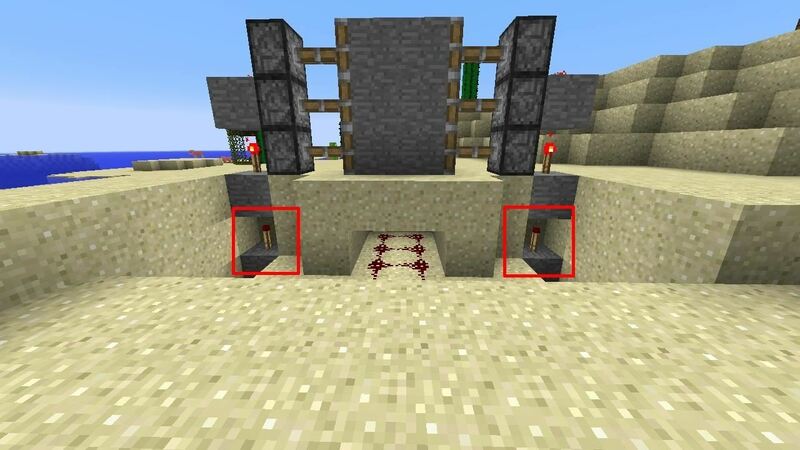 It appears that when you put the redstone torch 1 block under the 1st torch, the piston 'door' reverts to 'open', and when the rest of the redstone/torches are added along with pressure plates, the doors never close. Please update or revise this "How-to" and add etter images so we can see clearly how it is done.